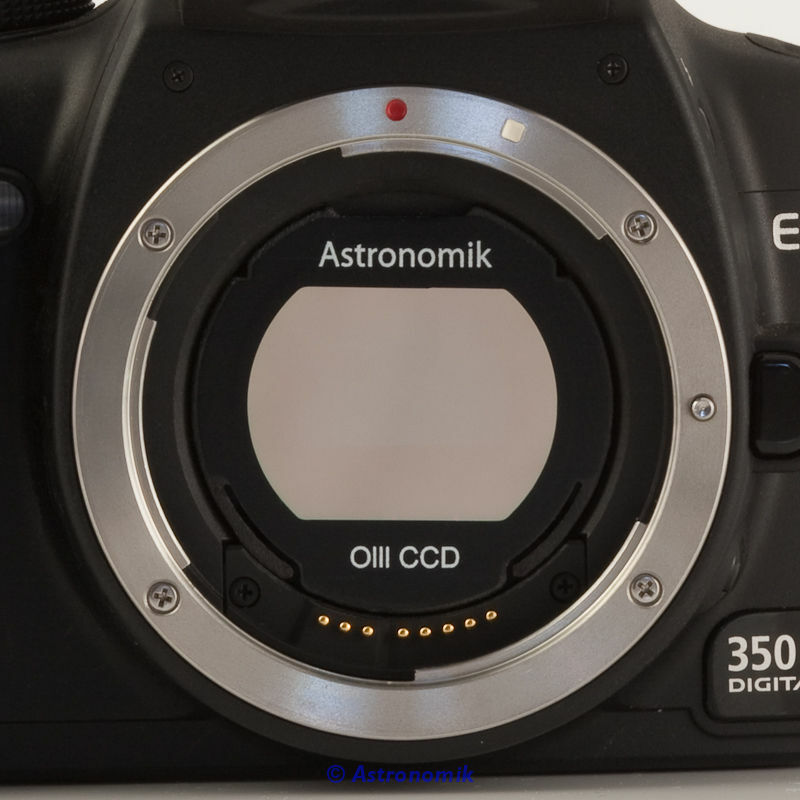 Another advantage of the 12 nm filter is the better availability of guiding stars for cameras with a built-in-autoguider (SBIG). 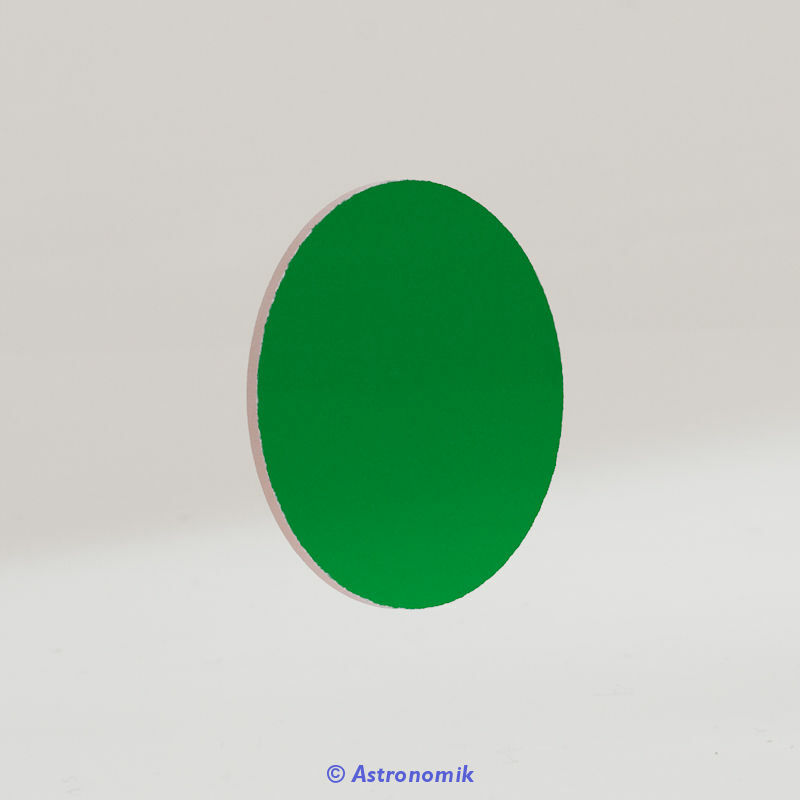 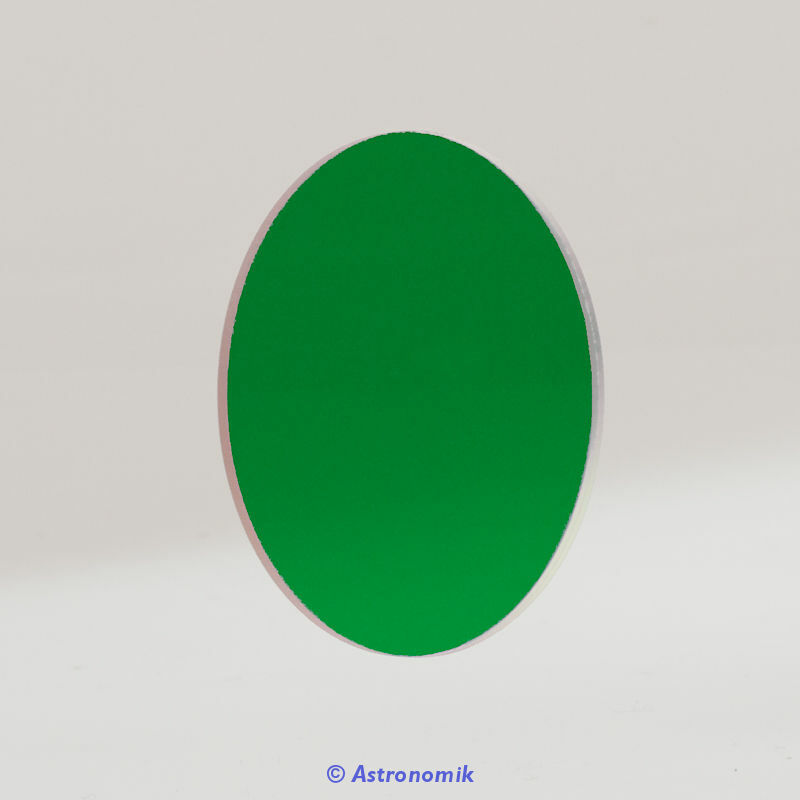 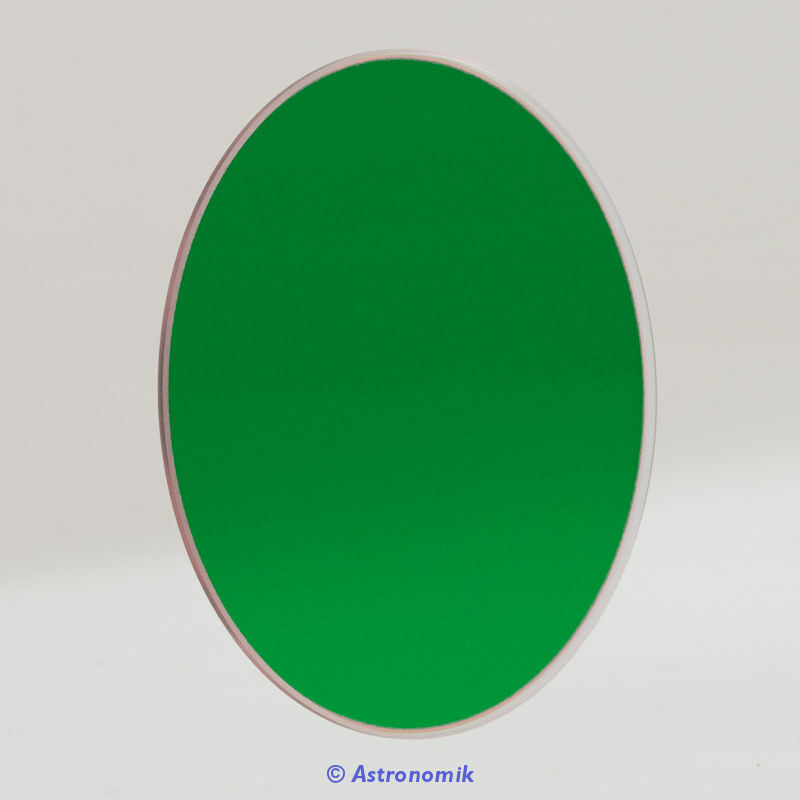 If you use a very strong filter like our H-alpha 6nm filter you often won’t find a usable guidestar. 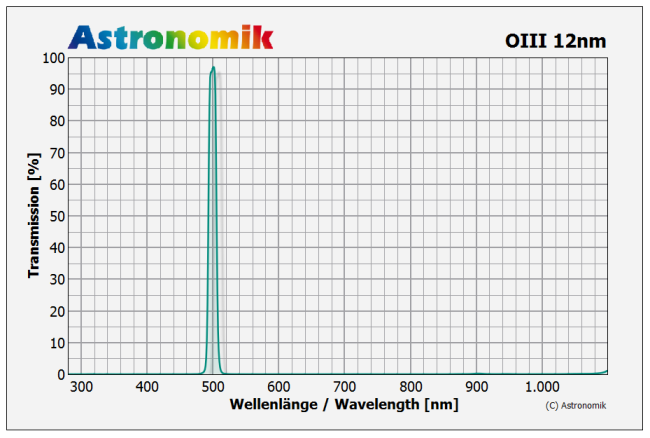 The Astronomik OIII CCD increases the contrast between objects, in this case between the OIII emission line and the skyglow background. 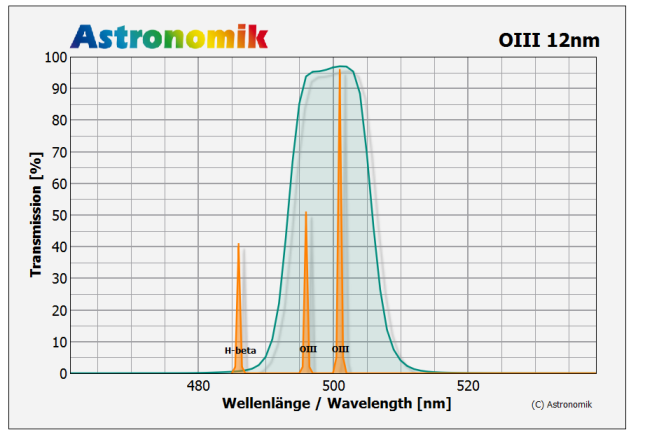 Our Astronomik OIII CCD completely suppresses the emission lines of artificial lighting (mercury (Hg) and sodium (Na)) and skyglow. 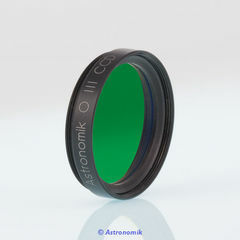 Transmission losses and chromatic distortions, which arise with other filters, only occur with Astronomik filters when extremely bright aperture ratios of 1:2 and more come into play. 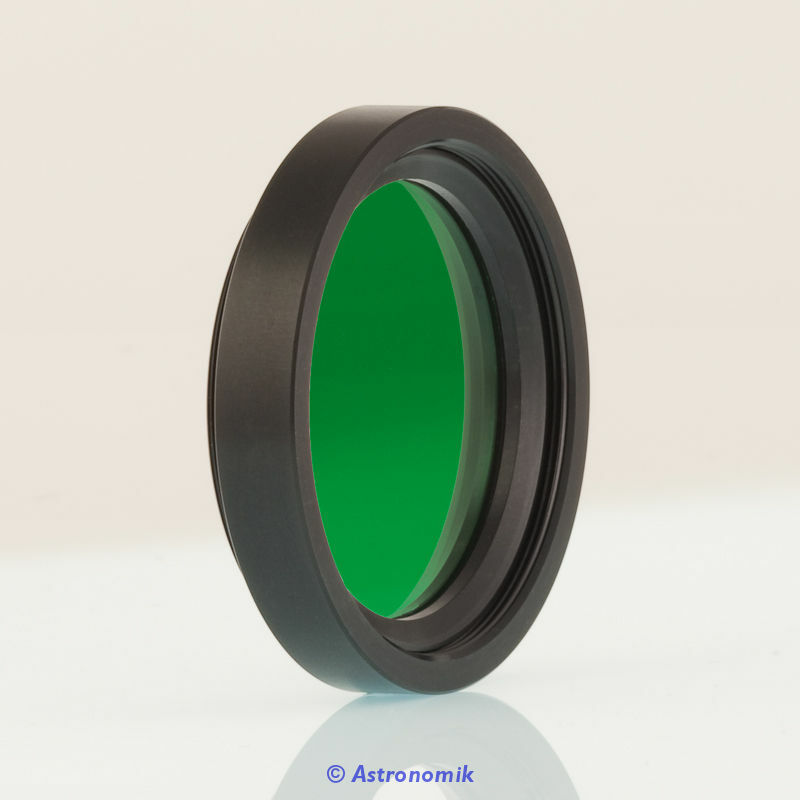 The filter has a built-in IR-blocker up to 1150nm. 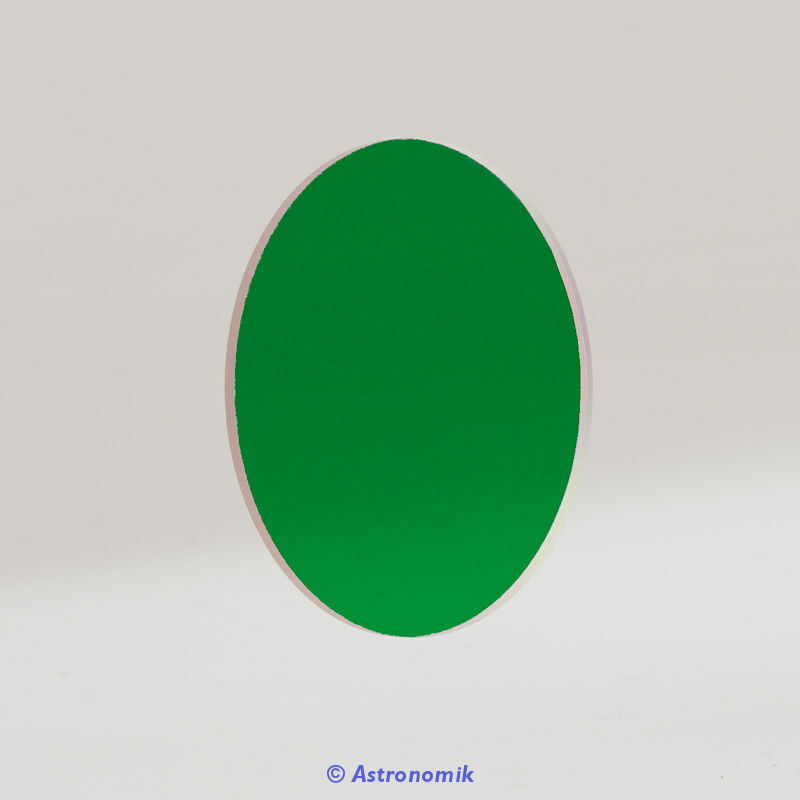 You don’t need an additional IR-blocker with this filter. The OIII CCD is also great for visual observation. 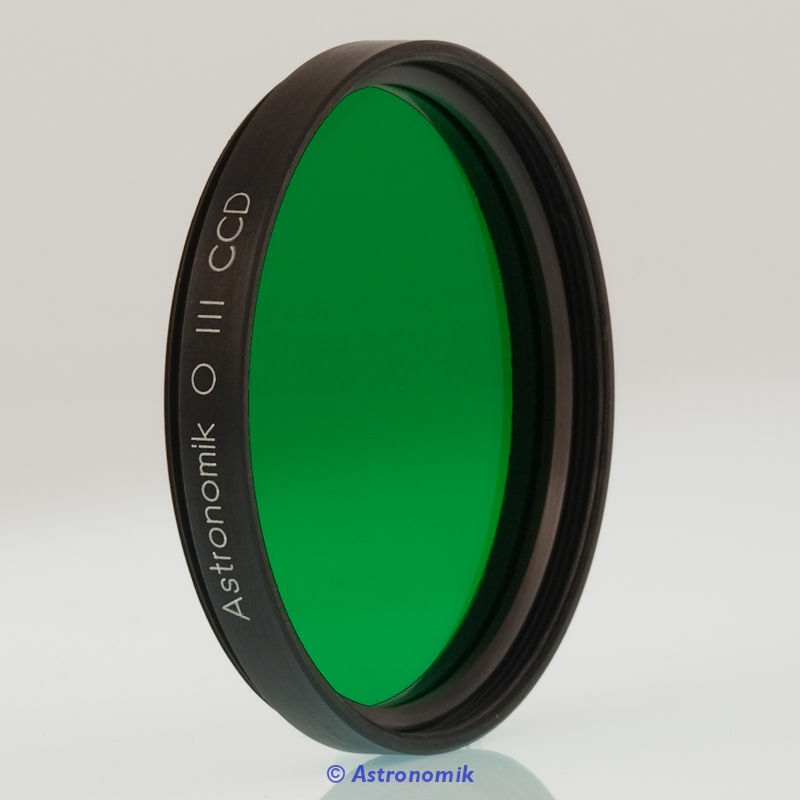 If you plan to get filters for visual observation and for astrophotography get the CCD filter: You may use this filter visual as well as in front of you camera. 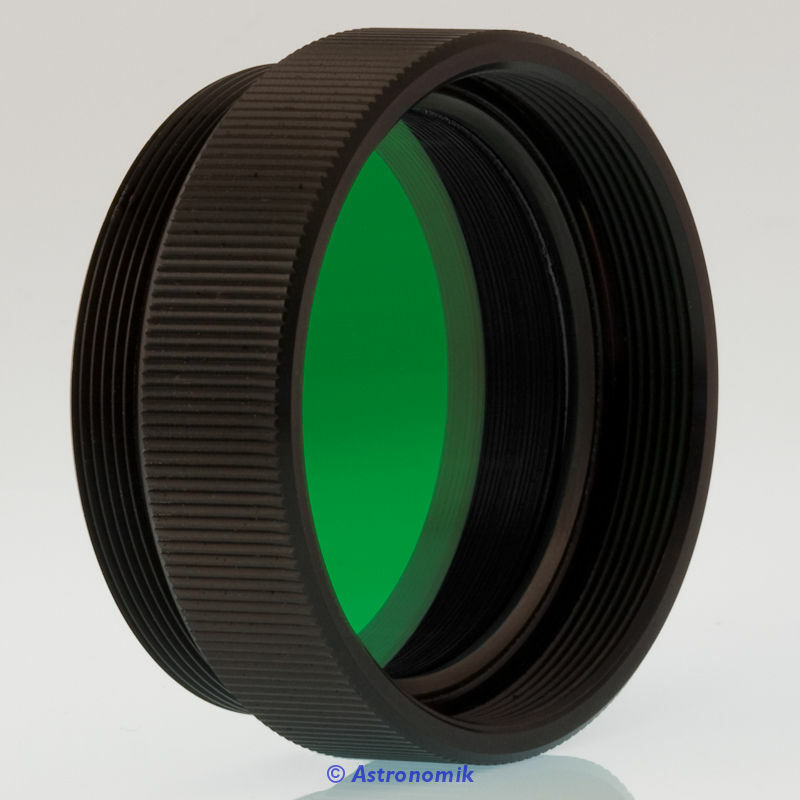 The built-in IR-blocker doesn’t disturb visual observation but you need an additional IR-blocker if you want to use the visual filter with your camera.